If you are suddenly seeing an Outlook 500 error when sending emails, and you haven’t changed any of your email settings, then it might be a Windows Update to Outlook. The Windows Update this last Tuesday included something for Windows versions 7 and 8 that changed the way SMTP in Outlook connects to a server. Wednesday morning we had a few web hosting clients that all of a sudden could not send email and got an Outlook 500 error. We also found through troubleshooting that this new behavior that emails to other people in the same domain as you DID work, but anyone outside your domain did not. For example sending from me@mydomain.com to you@mydomain.com worked, but sending from me@mydomain to john@anotherdomain.com would result in a 500 error. Also; mail still worked on Windows XP computers, it just changed on Windows version 7 and 8. We tested the mail server, we confirmed passwords, we even performed a system restore to a date prior to the latest Windows Update, nothing helped. 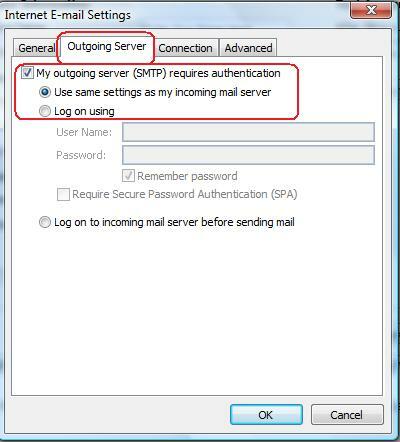 IMPORTANT: Don’t use “Log on using”, and if “Login to incoming mail server before sending mail” is checked – uncheck it. That checkbox, my friends, is the problem and the change to be made. We always like to know cause and effect. Why did it work before and does not now? 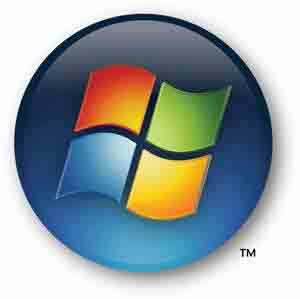 All we know is that on Windows 7 and 8 platforms, when using Outlook (which versions? we don’t know) this operation has changed somehow and causes a 500 error to occur. Maybe it’s a security aspect and the change isn’t actually part of Outlook but Outlook is impacted by it. If none of these worked for you and you found a solution for this Outlook 500 error that did. Let the world know – someone out there will need it. Simply tell us your solution in the comments beloe. Thanks! Be the first to comment on "Outlook 500 error"